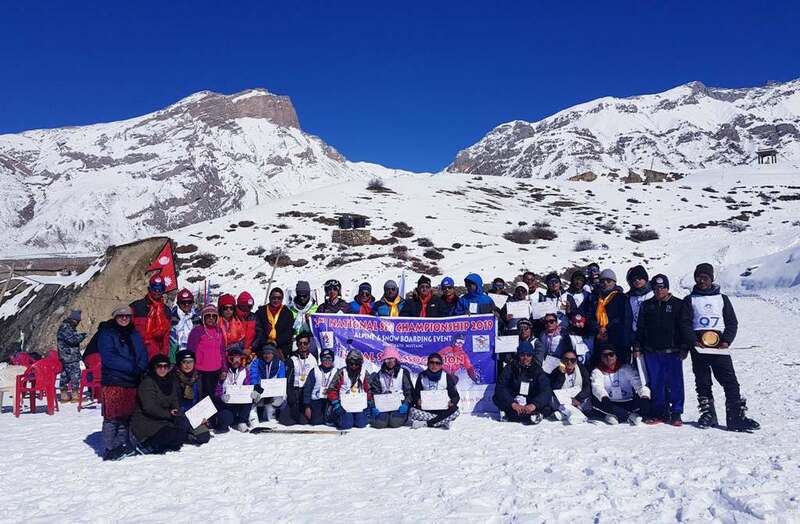 Nepal Ski Association organized “Second National Ski Championship” which was held in Mustang, Nepal on 2nd February 2019. There were total of 28 participants where 20 male Athletes and 8 female Athletes participated. There were 4 events of Alpine Ski and Snow Skateboard competition. 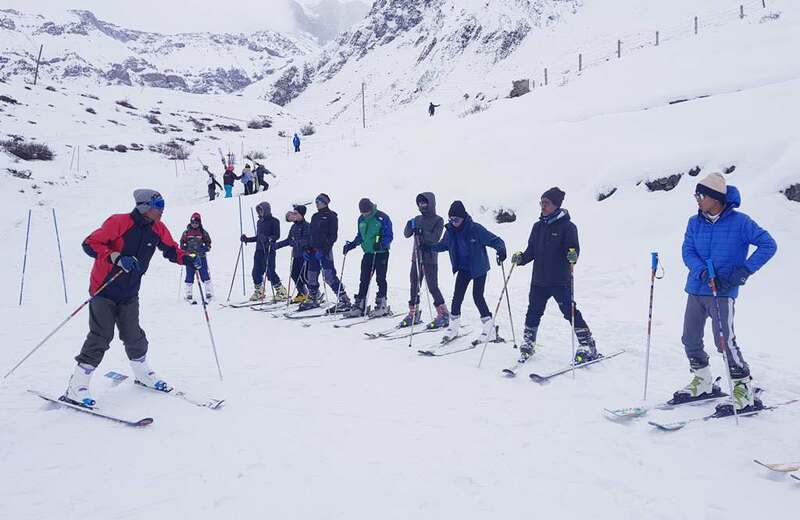 President of NOC/ Member of Parliament/ President of Nepal Ski Association(NSA) Honorable Jeevan Ram Shrestha presented the winners with Medals. In the program Executive member of NSC Mr. Rajesh Gurung, Acting CDO of Mustang district, DSP of Nepal Police and DSP of Armed Police Force, Secretary General of NSA Bijaya Shrestha, Treasurer Jitendra Shrestha and Secretary Basanta Raj Karki, members Santa Maya Pariyar, Arjun Maharjan and Niraj Shrestha from NOC were also presented.